“Why did you paint your face black?” students asked while facing a young man who was rehearsing a monologue for a theatre class evaluation in the hallway at Dawson College, last Wednesday. They explained to him that it was offensive. He told them that he wasn’t racist and that he had Black friends. “Just because you have Black friends, it doesn’t mean you can’t be problematic or be offensive,” said Naftalia Allison, spokesperson for The Legacy, a student group meant to promote Black culture at Dawson. Her and other members of the group witnessed the incident after a student came to their office to alert them. The student had applied black makeup all over his face, neck, and hands, Allison said. His lips were also painted in bright pink. “I think it really seals the deal that he knew what he was doing,” she said. They shared a video of the event on social media the next day. Kimberley Barfuss, chairperson of Dawson’s Professional Theatre department, said the use of blackface is unacceptable and indefensible in a statement on the Facebook page of the program’s alumni. But she also encouraged readers to sympathize with the student. The Dawson Student Union hopes that Dawson will review the curriculum of the theatre program, so things like this won’t happen again. Donna Varrica, spokesperson for Dawson College, said the teacher didn’t know the student was planning to perform in blackface until news of it traveled within the CEGEP. Dawson met with witnesses, the DSU, the young man’s classmates, and the teacher to review the incident. “We all reached the same conclusion: that the student was unaware that his actions could be construed as offensive,” Varrica said. The student felt guilty and was troubled, according to her. “However misguided, inappropriate and ignorant of the historical connotation of such an action, the student insisted that he had not intended to offend,” Varrica said. She also said there is no excuse for his actions and that Dawson needs to have more internal dialogue on cultural boundaries in various courses. 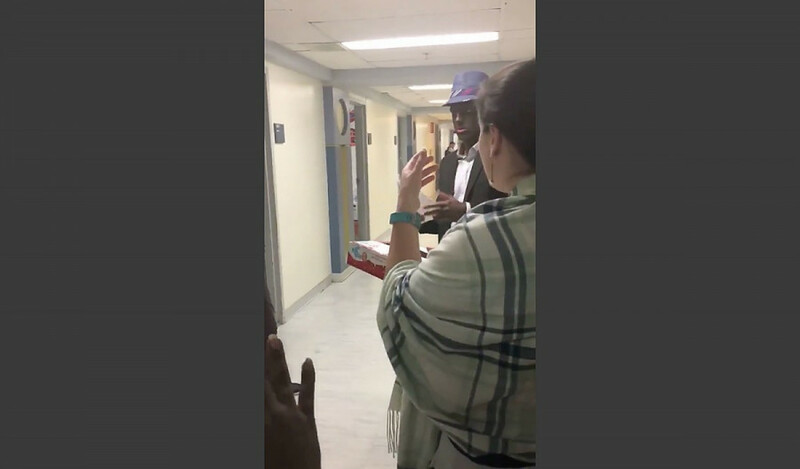 Dawson College posted a statement in the comment section of the video, as well as on the student union statement on social media condemning the gesture.